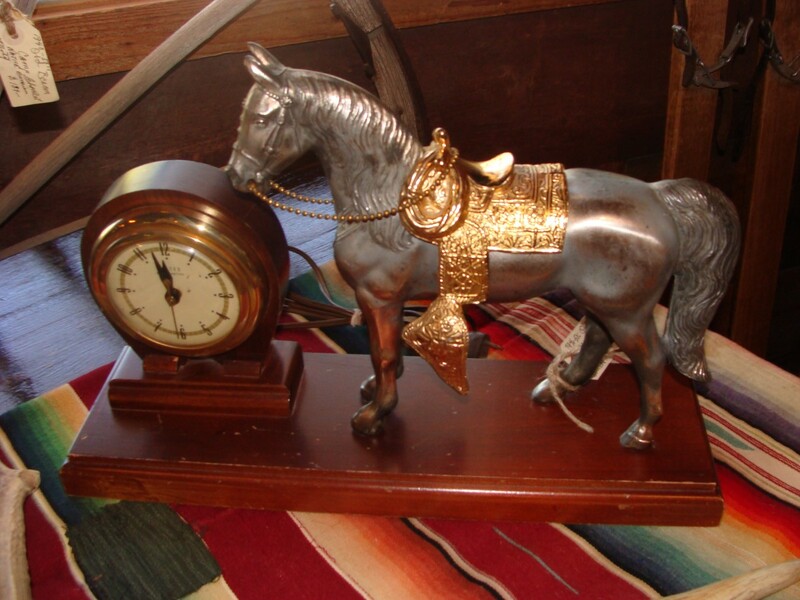 1940's Electric horse clock ,works great for Western home, cabin or fireplace mantel. 1940's Electric horse clock ,works great for Western home, cabin or fireplace mantel. Please email cowboyron@cowboycabin.com with questions or call 406 270-2842.